Overview: Amidst the exuberance of the London 2012 Olympic Games, the latest release from BETONSOFT celebrates the birthplace of the Olympic Games - and sets a new standard in gaming innovation. 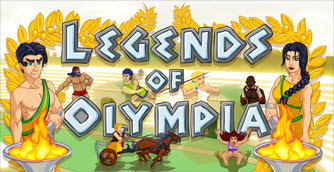 The latest high-definition video slot, 'Legends of Olympia', is set in the glory days of Ancient Greece at the stadium of Olympia, and promises to become as legendary as its namesake. 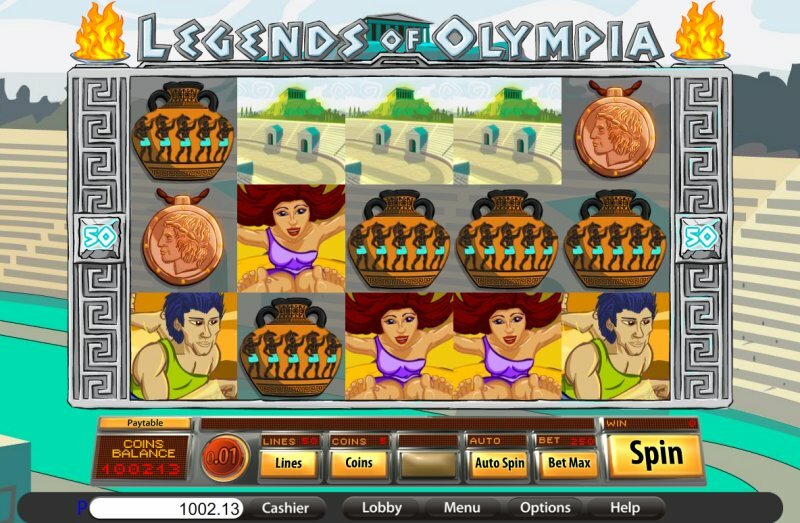 Legends of Olympia is a 50 line, 5 coin video slot with expanding wilds and up to 20 free spins with a 2X multiplier. The Olympic Torch bearers are the expanding wilds, while the reward everyone is vying for - the Golden Wreath - will activate free spins. Under the watchful eye of ancient philosophers, warriors, and the very gods of fate themselves; you compete in the ultimate challenge of luck and skill. This glamorous feature delivers all the excitement that you have come to expect from BETONSOFT's offerings, and as usual, winning big is high on the list of attractions. The most vivid event in history is brought alive in scintillating style as you battle it out in ancient arenas for gold and glory. 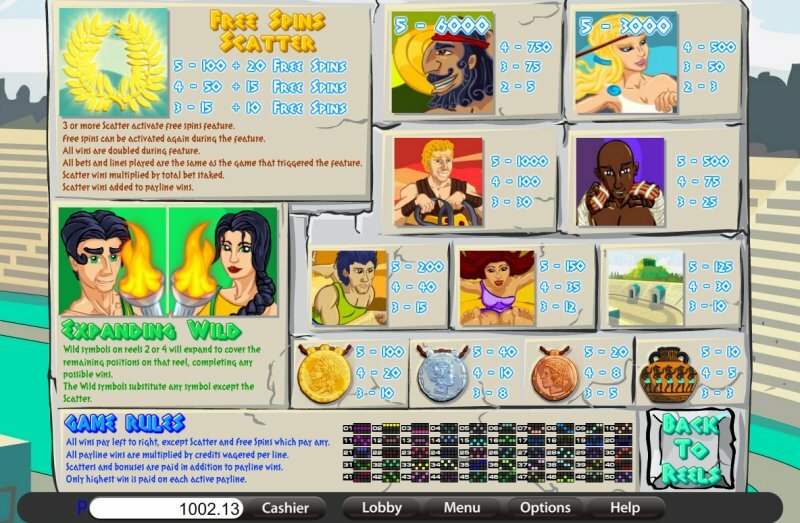 Similar Slots: If you like Legends of Olympia, you might like these other slot machines from Saucify: Aladdin's Loot, Code 211, Fistful of Dollars, Gems n Jewels, Peek Physique, Royal Banquet.